Ripple XRP is one of those crypto currencies that are showing bullish signs at the year end. It has hit an all time high value of $2.10 and overtook Ethereum as the second largest crypto currency across the world. The market cap of the currency has touched $82 billion which shows a 42% increase today. Ripple journey in 2017 shows that the currency has gained about 5000% value thereby beating Bitcoin and all other crypto currencies in year to date increase. There was a point today when the currency showed a 42% increase in the value. Here, it is important to mention that Ripple XRP was trading at $1.81 billion on Friday morning. Suddenly, the currency began to gain value and became the second largest crypto currency when its value hit $2.10 mark and its market cap reached $82 billion. Ripple showed a lot of bullish signs this week because a lot of Japanese banks had announced to adopt Ripple as a payment platform for cross border transactions. This is because the block chain technology being employed in Ripple increases the speed of transactions. The cross border transactions now take seconds to complete. The news of adopting Ripple as payment platform by large banks and financial institutions has increased the value of the currency a lot. The experts are of the view that escrowing the 55 million of funds has also played a vital role in increasing the value of the digital currency a lot. Moreover, the adoption of Ripple block chain by American Express, and SBI holdings are playing their own part in increasing the value of the currency. This week SBI holding of Japan and SBI holding of Asia has also announced to adopt Ripple as payment platform. A senior Market analyst Mati Greenspan says that investment in Ripple is a practical investment. He adds that it takes 2-5 days for a sending and receiving funds between remote banks. But, Ripple has reduced this time to seconds. Therefore, major banks and financial institutions across the globe are adopting its blockchain network. Crypto currency trader Marius Rupsys also has the same views about Ripple. He also says that the payment processors who have adopted Ripple block chain network are quite happy and satisfied by the speed of transactions. Rupsys also says that the investors of crypto markets have different preferences. They are departing with the old traditions and coming out of the Bitcoin adoption. He says that new investors show a little interest in Ripple because of its centralization. But, with the passage of time, the new investors are also turning towards the payment platforms that make some sense. 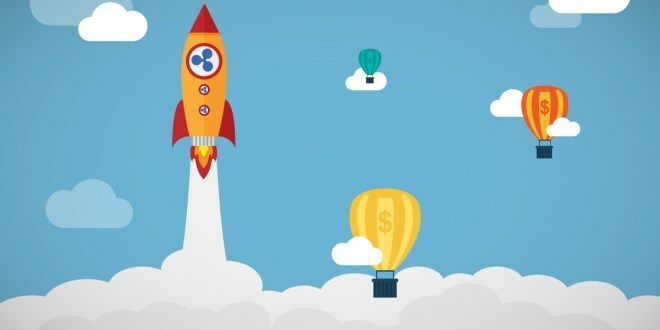 There are also some experts who are of the view that this increase in the value of Ripple is due to minimal transactions fees. Thanks to your insightful analysis I got into ripple. You helped along a period of tough decision-making with your informative news portal. I do regret however not ploughing more into XRP at the time, like 5 times more! Nevertheless, the lesson is learned…..
Hi all, could you guys clarify to me what does this mean xrp ripple BALANCE 15.45337600 Estimated btc value of ripple 0.00282934. Can someone explain to me in Plain South African English what does this mean. Isn`t this because of the partnership with Amazon? Well…. I am not sure about it. It was just a rumor I belive. Korean economy is one of the most powerful economies in the world . think twice why they buy this much Ripple?? They are so powerful in telecommunication sector such as Android system etc. They want to control banking system now . that’s the reason they are so hurry to buy this currency.